I'm a physiotherapy student. How do I start learning anatomy? 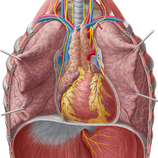 Anatomy is a pretty big subject, but we're here to make it easier for you. That's why over 1,030,138 students from all over the world studied anatomy and histology with us. This page will give you a few tips to get started as a physiotherapy student. At Kenhub, we believe in learning through repetition and combining different tools to achieve the most efficient studying process. We combine the atlas illustrations with articles, as well as offer video tutorials and intuitive and personalized quizzes. At the end, we'll also include some help on how to use Kenhub and further learning resources. As a physiotherapy student, you have to tackle tons of subjects such as physiology, biomechanics and therapeutic movements. Anatomy is one of the fundamental topics that you need to fully understand in order to assess and treat your future patients successfully. These tips and strategies can help you not only with learning anatomy effectively, but with pretty much all subjects you'll need to learn in physiotherapy or physical therapy school. Memorizing a lot of information in a short period of time is one the biggest challenges in studying anatomy. This video will show you different engaging ways to memorize all parts of the human body. You didn't have Latin or Greek in high school? No worries! Take a look at this video to find out how to correctly pronounce the anatomical terms. 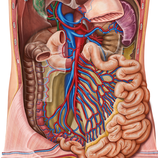 Now that you're a black belt in learning any topic, you're ready to start learning anatomy. Before you dive deep into this subject, you want to make sure that you know the basic lingo of anatomy. This section is going to help you with the terminology, directional terms, main structures of the body, movements and main regions and systems. The first step is to learn the 'language' of anatomy. Watch this video to learn how the locations and directions within the body are described. As a physiotherapist, you have to precisely describe the movements of the joints. Watch this video to find out how to name and recognise the various body movements. 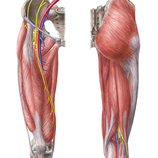 The key to becoming a good physiotherapist is to know all muscles and their functions inside out. 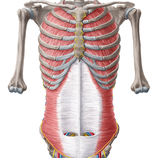 Start with this video to understand the basics of the muscular system. Now you are all set to finally start with your first anatomy lectures. 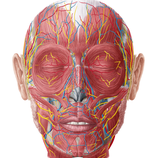 Begin with this chapter to get an overview of the main bones and muscles in the human body. There's plenty more to cover, even at a basic level. You can find more basic topics here. So now that we covered the ABCs of how to learn, and the main Lego blocks of anatomy, it's time to get serious. But don't worry! We've got you covered. As a physiotherapy student, you'll need to cover all these topics in great detail. We created a list for you and organized it as a path. However, each physiotherapy school follows a different syllabus, so you can always jump to the topics that you need to focus on. 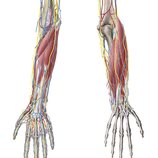 Impairments of the upper extremity are widespread problems that restrict people's daily lives. Physiotherapists need to learn its bones, muscles and neurovasculature in order to help their patients. You ought to know the bones and muscles of the lower extremity by heart. Fractures, muscle strains and tendon injuries of the thigh, leg and foot are common conditions that need physiotherapy support. Back pain is the most common reason for people to consult a physiotherapist. They need to know the anatomy of the trunk and vertebral column in order to assess the cause and choose the best treatment. As a physiotherapist, you will treat patients with neck and TMJ pain on a daily basis. That is why you need to know the musculoskeletal system and neurovasculature of the neck and skull very well. Reduced cardiac and pulmonary performances are common challenges in the rehabilitation of hospital patients. In order to succeed, knowledge of the anatomy and function of the heart and lungs is required. Knowing the pelvis anatomy is the basis for the treatment of pelvic floor disorders, which particularly occur during pregnancy. Furthermore, physiotherapeutic exercises can improve bladder and bowel control. Still have questions? Contact us and we will be happy to help!